According to business insiders quoted by Lebensmittel Zeitung, Aldi Süd may decide not to use its typical Aldi logo for the new concept. Aldi Süd seems to be ready to push its convenience segment in its German home market. To facilitate this, the retailer is said to be considering the creation of a new small store format for city centre locations, Lebensmittel Zeitung reports quoting anonymous sources. A trial store is reportedly already in the pipeline and set to open mid-2018. 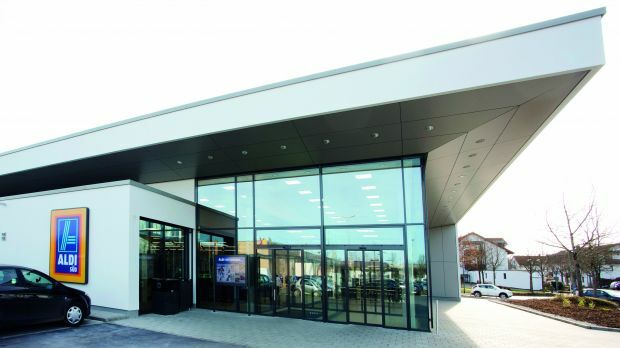 The discount store operator is understood to be currently in talks with manufacturers. Ready for a Channel Shift? If Aldi Süd was to launch a convenience store format, now would be an excellent time to do so. Several of the latest strategy shifts by the German discounter pioneer have helped to put it in a good starting position for such a launch. Not only has the private label-driven company extended its offering of convenience items such as sandwiches and wraps, it has also done a lot more to gain crucial expertise over the last couple of years. Now it appears ready to put the pieces of the puzzle together. 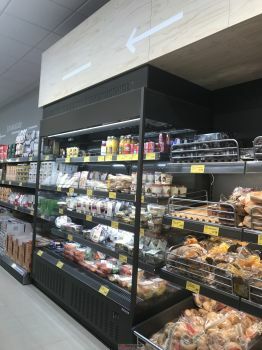 Following the example of its Austrian Hofer operation, Aldi Süd Germany has installed chiller cabinets in the latest generation of its stores reserved for food-to-go items such as snacks, convenience items and drinks. At the entrance of some of these outlets, the retailer has also installed coffee machines. Aldi has started to open its multipacks, selling loose apples and single soda bottles. It has also experimented with extended opening hours, lately even adding lottery tickets to its (online) offering – a category traditionally sold at German minimarkets. Finally, there has been an ongoing attempt to list manufacturer brands that are crucial for this kind of concept – just think about Coca Cola. Aldi has added chiller cabinets for convenience goods to its latest store concept. Driving the supermarketisation of their concepts, hard discounters have increasingly expanded their average store size in order to stock their extended assortment and to provide more space and wider aisles. As a result, Aldi and Lidl have lately even had to leave individual higher footfall locations that have become too crammed for their latest store layouts. The need for a format well-suited to valuable city-centre locations and that does not jeopardise their newly created and heavily advertised image is understandable. However, the German market remains as tricky as always. Aldi would not be the first to fail. We have seen innovative concepts disappear, such as Frischwerk for example (with the brand name being relaunched recently for forecourt stores). Dutch convenience expert Ahold has not managed to really gain ground in the market with Albert Heijn To Go. After entering in 2012 it still only operates a couple of stores. Metro Group closed Emmas Enkel. Rewe Group had to shut down its mix of convenience and foodservice, Made by Rewe. Its Rewe To Go banner has been readjusted several times and seems to be on track now but the massive growth rates are predominantly thanks to its deal with petrol station Aral and are thus generated in the forecourt store business. And indeed, it is no wonder that the concept that has long been successful in markets including the UK and the Netherlands is facing difficulties in a country like Germany. There are supermarkets and discounters at every corner in the highly consolidated and almost saturated market. These also provide convenience items and that reduces the need for a dedicated format. Furthermore, there is a great density of bakeries providing goods for immediate consumption like sandwiches or individually sized pizzas. Snack bars like kebab shops and sausage stands add to the network. There is still a lot to do to convince the German shopper of the need to spend more for convenience goods and to compare them to the offering of a restaurant rather than to low price staples. Price-aggressive and private-label led Aldi is probably one of the most promising players to make a significant step forward in this scenario. However, we have also seen hesitant moves by arch rival Lidl in this channel, e.g. with Lidl Express in the UK, which did not manage to gain acceptance. This makes us wonder whether Aldi will be more successful with such an attempt. Gain access to more store impressions from Aldi Süd and to 20,000 other retailer store photos across Europe by subscribing to our retail intelligence platform. Sign up for a free trial here.